A year and half ago, when Assassins Creed Origins was released, audience were amazed with the historical Egyptian experience. The way Ubisoft changed the gameplay of series was really mesmerizing. 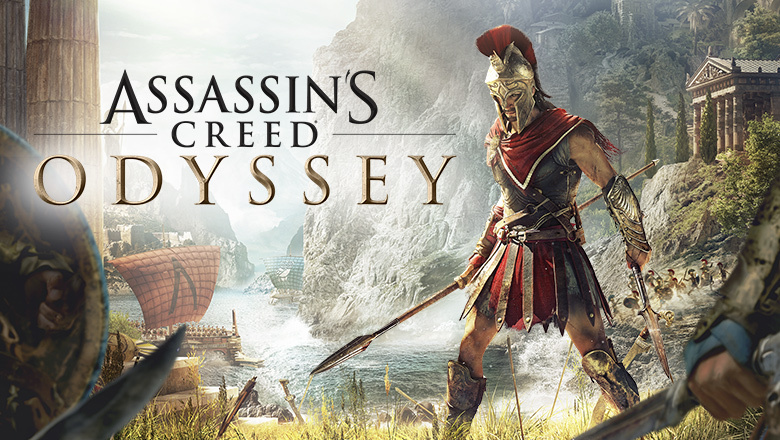 Assassins Creed Odyssey follows its predecessor with a few changes in the gameplay style and improvements in graphics. It takes place in ancient Greece in 431 BC. The scenery in game is simply breathtaking. AC Odyssey provides you a plethora of side quests, granting you precious gems and Orichalcum which can be used to purchase or upgrade your inventory. While playing the side quests, you can find many interesting stories hidden in the game like killing legendary animals and saving poor people from soldiers etc. Our character gets to confront a faceless cult that works secretly with sole purpose of destroying Greece for good. Game follows the story of a Spartan child which can either be Kassandra or Alexios (based on your choice). Your character either it is Kassandra or Alexios turn out to be the grandchild of famous Spartan Hero Leonidas. From Mount Taygetos to great city of Athens, storyline takes many twists and turn in which you get to play against wild beasts, ruthless mercenaries, mythical creatures, a poisonous cult and even your own family. During the gameplay, players will find it quite fascinating how a young girl thrown from the top of a Mountain survives and become a legendary mercenary. The game is getting regular updates with enticing new side quests and new missions for main story line.